Alfred Hitchcock's Blackmail (1929) and the National Orchestra of Lyon, brought together under the baton of Leonard Slatkin himself: a double bill with a difference for Lumière 2013. After several months of works, the Auditorium welcomes you on October 16 for the landmark silent film of this celebrated of English filmmakers, restored by the BFI with a soundtrack by Neil Brand (composed in 2008 and never yet performed in France), orchestrated by Timothy Brock...As indeed its name suggests, the cine-concert is film and concert, all at once. Buffs of the genre will surely appreciate this incredible rereading of a cinematic work of art through the eyes and the music of a composer. In 2009 we had Murnau's Tabu (1929) and in 2010 Edward Sedgwick and Buster Keaton's The Cameraman (1928), while last year came The Four Horsemen of the Apocalypse by Rex Ingram (1921), and Georg Wilhelm Pabst's Lulu (1929). This year, Alfred Hitchcock's masterwork has been chosen for our annual Auditorium tradition, accompanied by the National Orchestra of Lyon, in a grand premiere for the festival, led by its music director, preeminent American conductor, Leonard Slatkin. The film is part of one of our program's series "From silent films to the talkies: the silent in the talkies and talking amidst the silence: 1927-1931," that explores the crucial passage from silent films to talkies. Alfred Hitchcock shot Blackmail in both versions; this fundamental transition in the history of cinema will make for a passionate subject of discussion. The film will also be screened, 'talkie' version, during the festival. Like The Pleasure Garden, which was screened at the Lumière festival last year, Blackmail is one of nine silent films by Alfred Hitchcock treated as part of a major restoration work by the BFI (British Film Institute). The BFI’s restoration of the ‘Hitchcock 9’ is the largest restoration project the BFI has ever undertaken, made possible only with the help of the most recent digital technology. The BFI holds some of the most important and earliest surviving copies of the silent Hitchcock films, including negatives, in addition to other materials sourced from diverse international archives. These restorations will ensure that the works of one of Britain’s greatest artists can be appreciated on the big screen, just as they were intended to be seen. Get excited: through restoration, not only have the films reclaimed the sparkle of newness, but further layers of meaning have been uncovered, unsuspected until now. 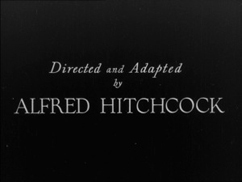 Hitchcock’s development as a filmmaker in the era of silent cinema is crucial to an understanding of his filmmaking style. He was very early proclaimed a genius by reviewers: audiences and critics were captivated by his daring mix of European editing styles combined with dramatic composition and a powerful mixture of humor and high drama. Anyone partial to his later Hollywood classics such as Vertigo, The Birds or Psycho will just as easily recognize Hitchcock's familiar hand in his earliest works. Principal funding for this film restoration was provided by The Hollywood Foreign Press Association and The Film Foundation. 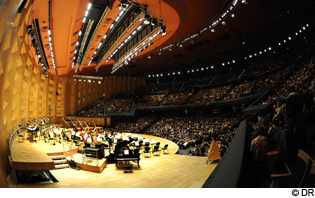 Heir to the Society of Grand Concerts in Lyon founded in 1905, the National Orchestra of Lyon became a permanent orchestra in 1969, with its first musical director, Louis Frémaux (1969-1971). 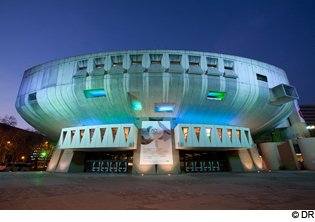 Since then, it has been administered and funded by the City of Lyon, which provided it with a concert hall, the Auditorium, in 1975. Neil Brand has been accompanying silent films for nearly 30 years, in London at the Barbican and the NFT, throughout the UK and at various film festivals such as Bologna, Aosta, Bergamo and Pordenone, where he set up the School of Music and Image. He now has a very fruitful relationship with the BBC Symphony Orchestra, which has resulted in London performances of his acclaimed orchestral score for ‘Blackmail’ (commissioned by Cinema Ritrovato, Bologna), orchestrated and conducted by conductor Timothy Brock. His Blackmail score was performed at the British Museum in a reduced ensemble arrangement for the London 2012 festival, and at the New Zealand Film Festival alongside his new score for Chaplin’s Easy Street. World-renowned American maestro Leonard Slatkin has been Music Director of the National Orchestra of Lyon since September 2011, in addition to running the Detroit Symphony Orchestra since the 2008-2009 season. He was also appointed principal guest conductor of the Pittsburgh Symphony Orchestra in the fall of 2008. Mr. Slatkin is the author of a book entitled Conducting Business. Previously, he was head of the Symphony Orchestra of St. Louis (1979-1996) and the National Symphony Orchestra in Washington (1996-2008). He was also principal guest conductor of the London Philharmonic and the Royal Philharmonic Orchestra and principal conductor of the BBC Symphony Orchestra. Since his debut with the New York Philharmonic in 1974, Leonard Slatkin has conducted all the major American orchestras, notably those of Chicago, Boston, San Francisco, Cleveland, Philadelphia, and Los Angeles, in addition to collaboration with major European orchestras. Leonard Slatkin has recorded more than 100 records, has been awarded seven Grammy Awards and has received 64 Grammy nominations. Among other distinctions, he is a knight of the Legion of Honor. A monolith of prestressed-concrete, the Lyon Auditorium cuts a bold form through the heart of the city's Part-Dieu neighborhood. Designed by Charles Delfante, urban planner and chief architect of the Part-Dieu, and Henri Pottier, Grand Prix de Rome, the Auditorium was inaugurated on February 14 1975, after over three titanic years' work and nearly 40 000 tons of concrete and 830 tons of steel!